While spending most days on your way to somewhere else, the Go-Anywhere portable charcoal grill brings a taste of home wherever you go. The lid locks for easy portability, and its rectangular shape fits perfectly in the back of most cars. 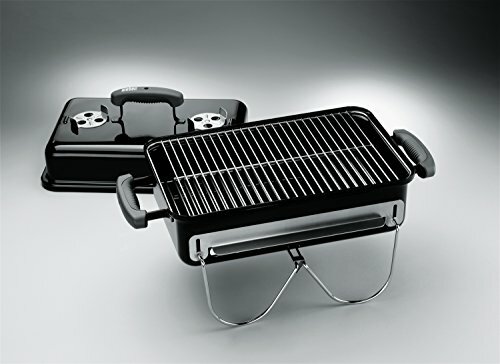 Weber's Go-Anywhere charcoal grill makes a great companion for camping and tailgate parties. This compact unit has a surprisingly generous grilling area--large enough to fit four medium steaks. 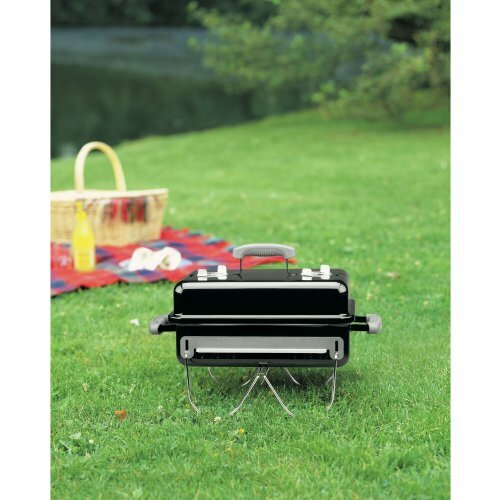 You can lock the lid into place with the pivoting legs and carry this lightweight grill around in one hand. 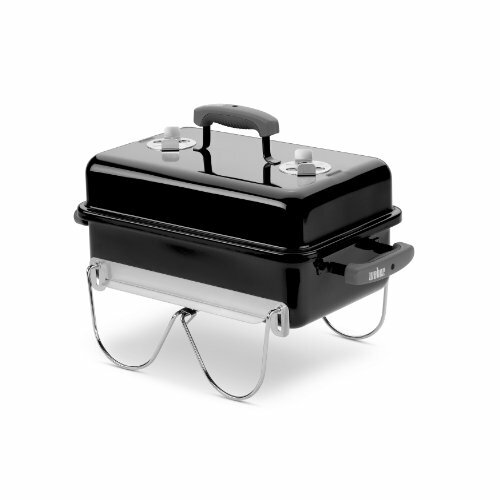 Built-in lid hangers allow you to rest the lid on the side of the grill to create an effective barrier against the wind. The triple-nickel-coated steel grate is easy to clean, and the porcelain-enameled steel lid and cooking box are built to last.